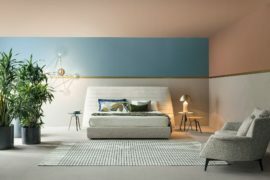 We start off with a spotlight on the most colorful bed frames and headboards and this is a series that you simply do not want to miss! 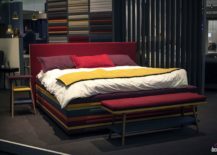 From bold and sunny yellow to daring scarlet and majestic purple, this is a collection of the most brilliant and beautiful beds drenched in plenty of color. 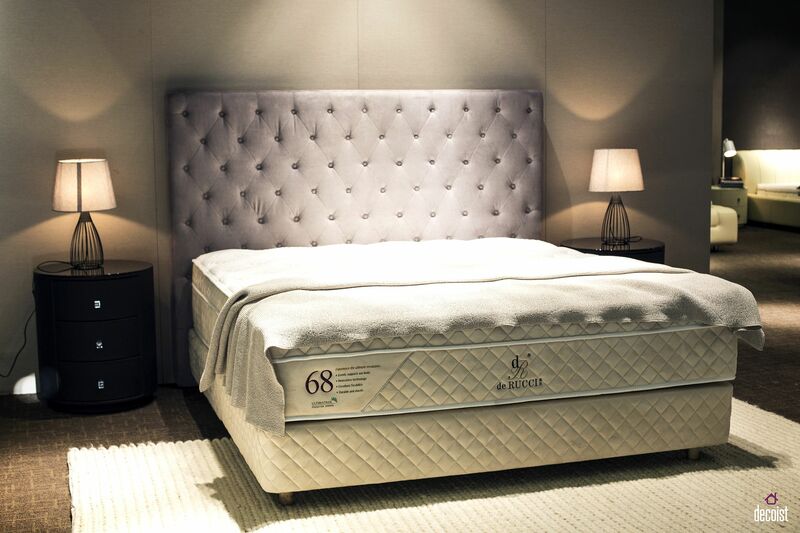 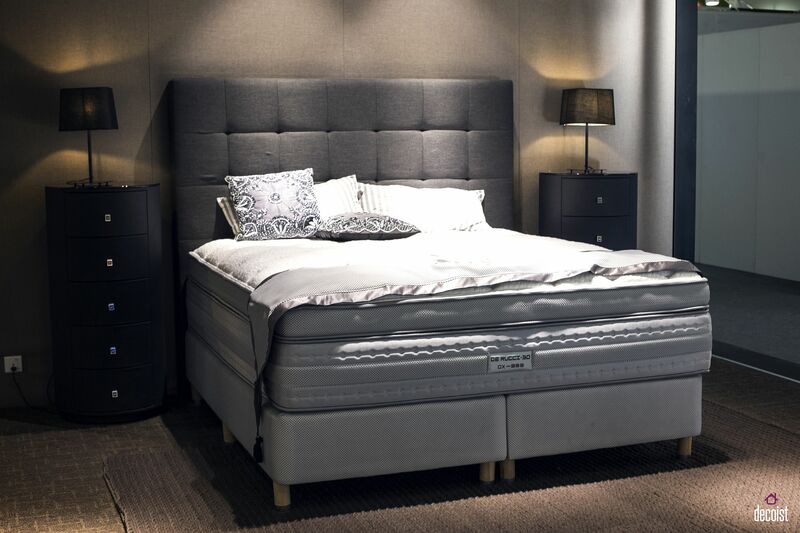 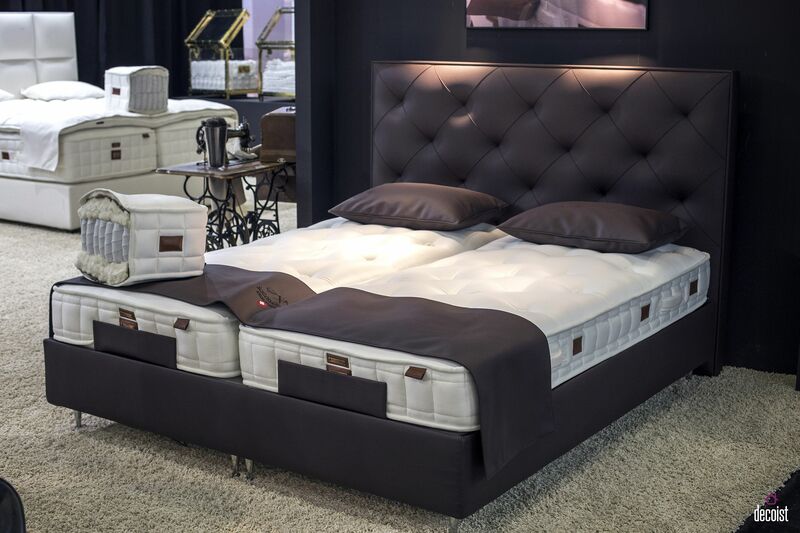 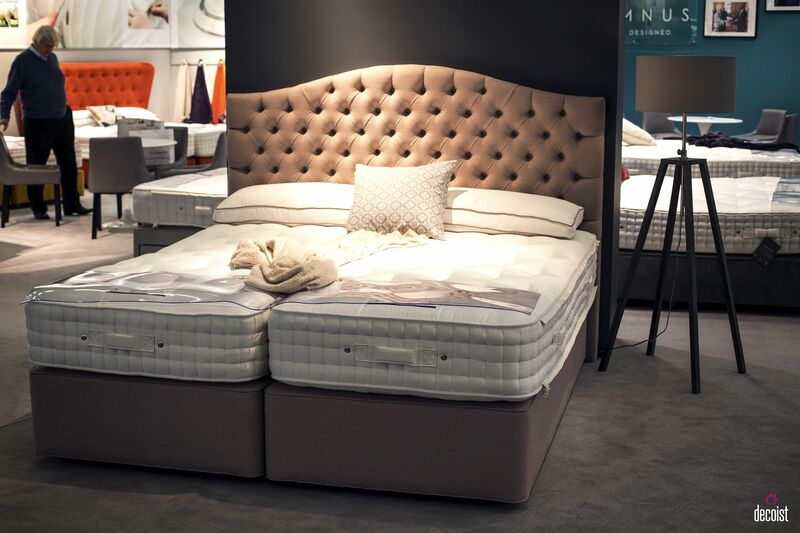 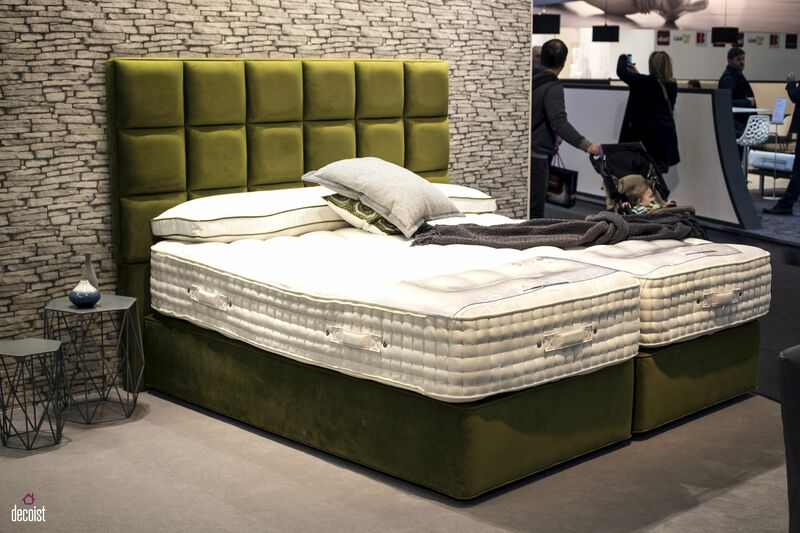 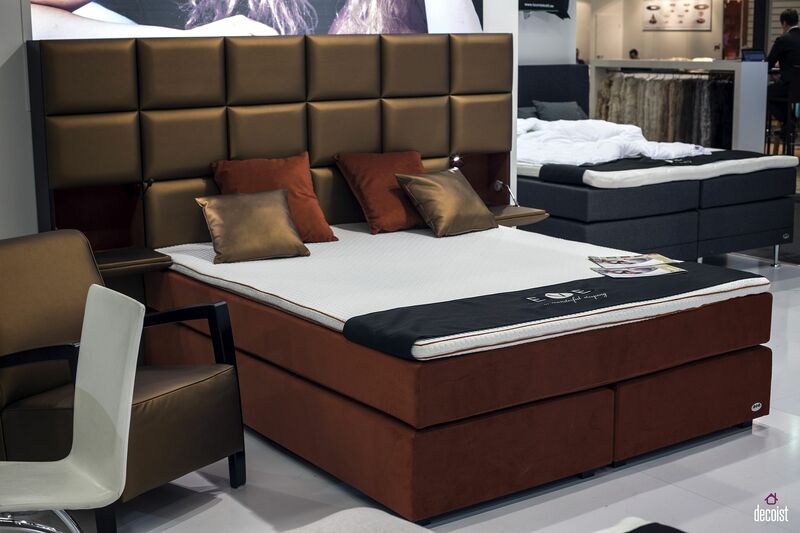 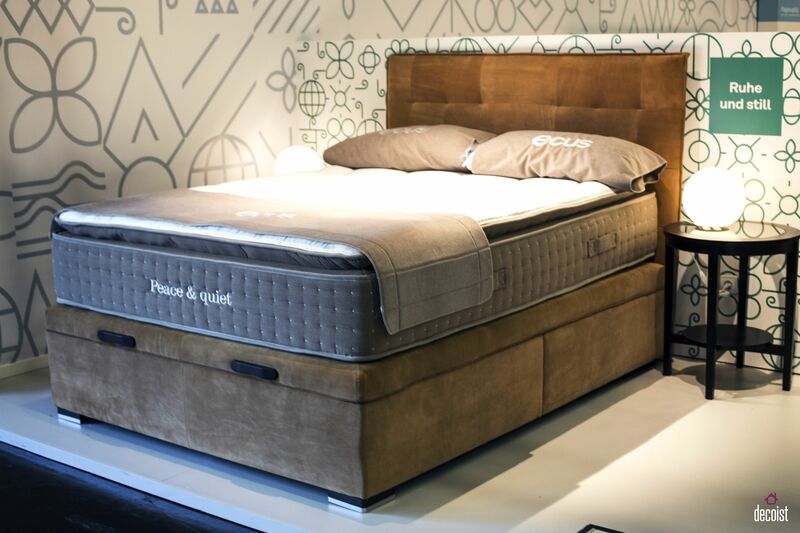 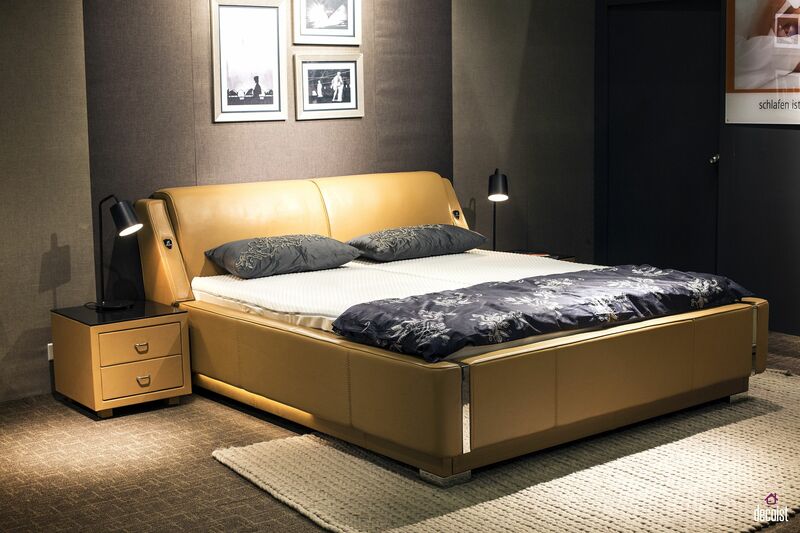 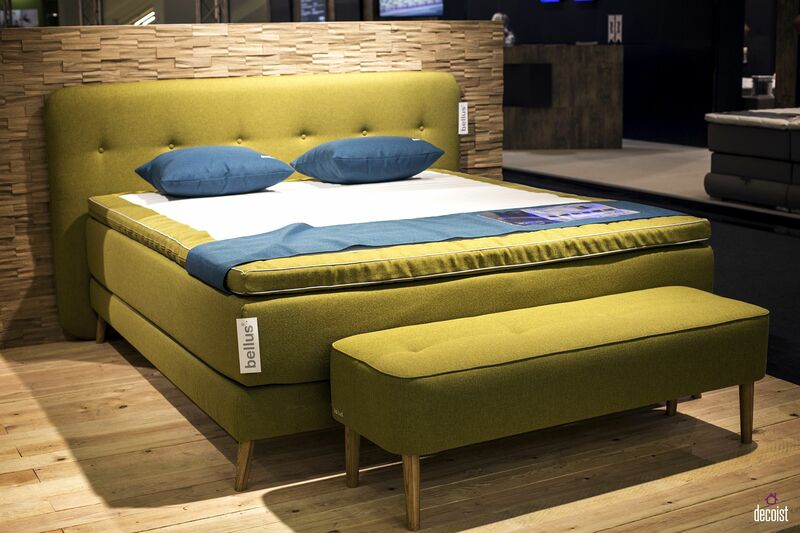 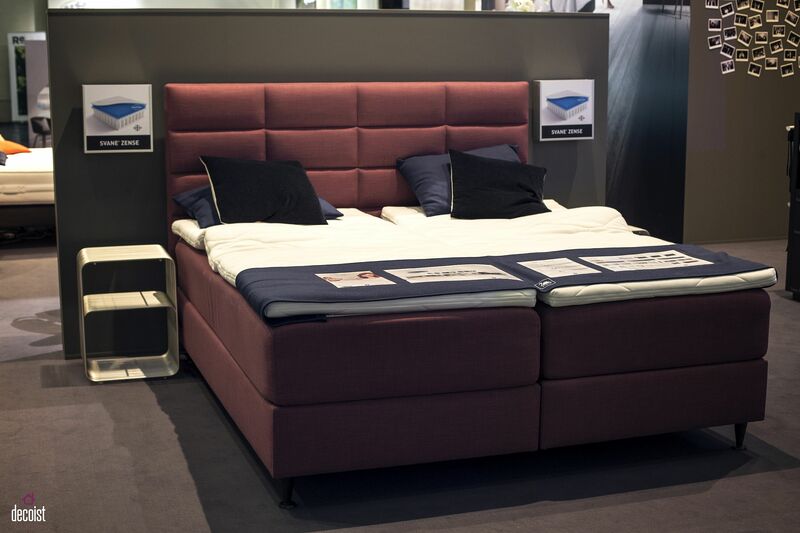 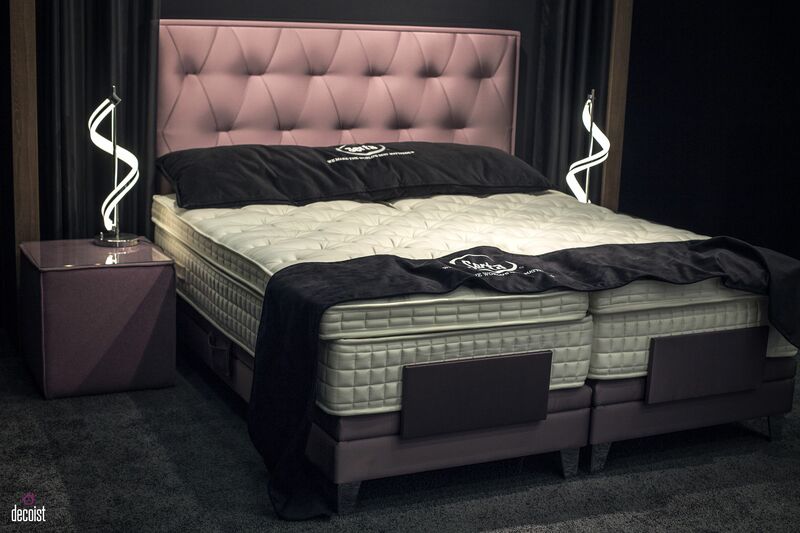 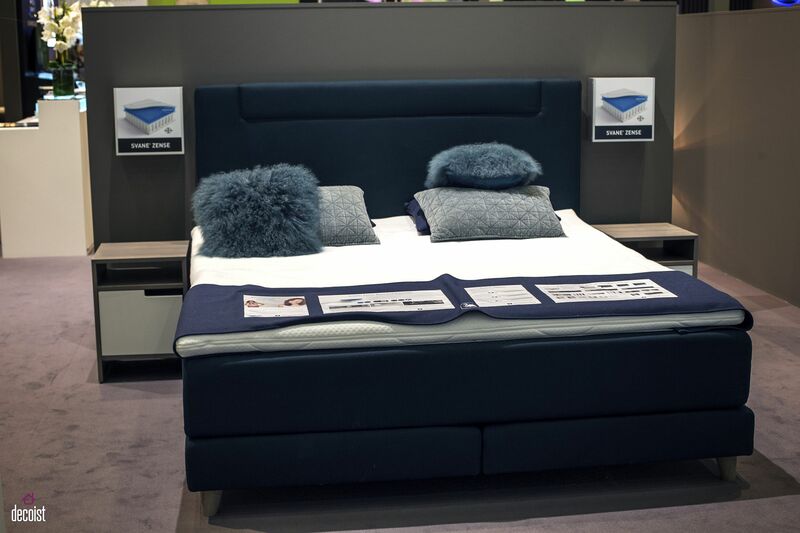 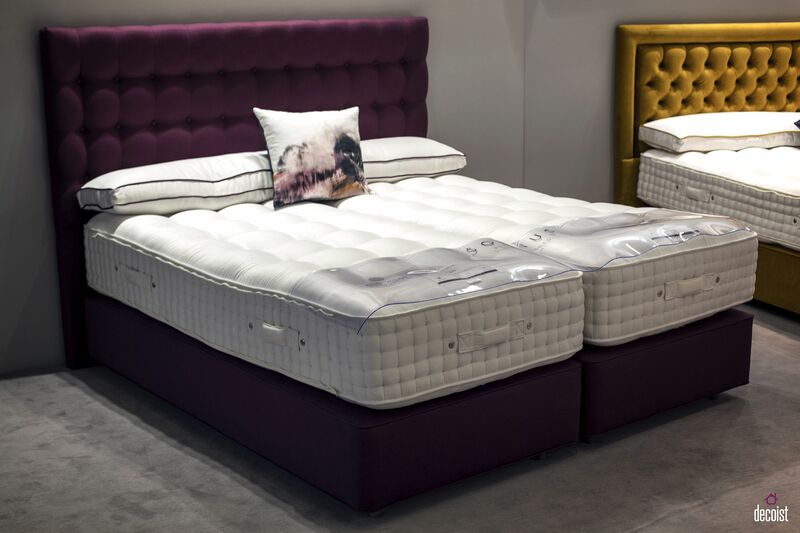 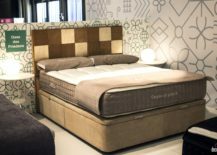 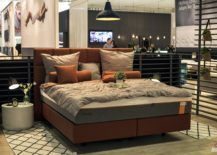 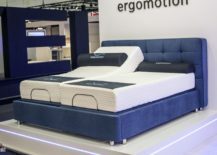 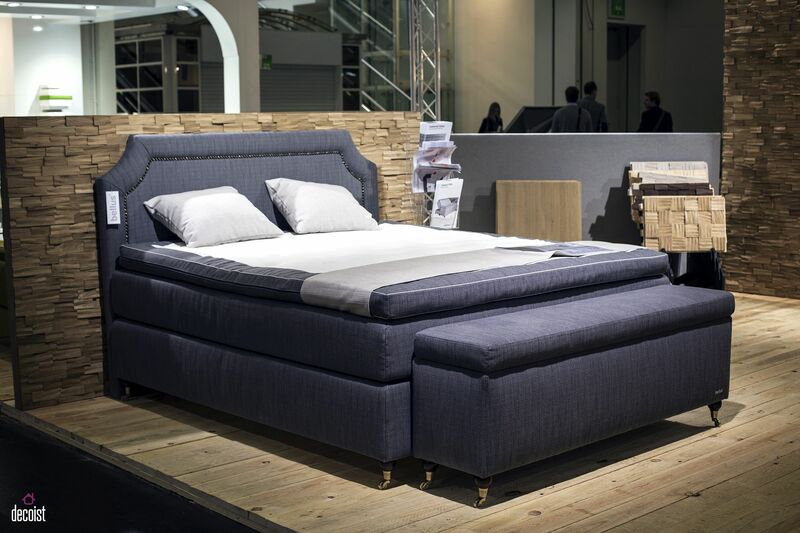 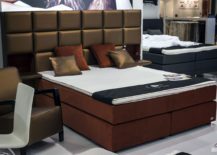 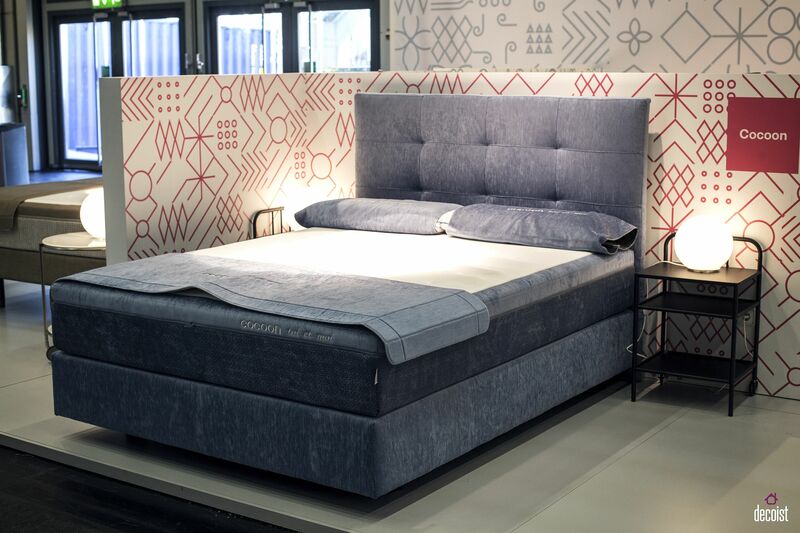 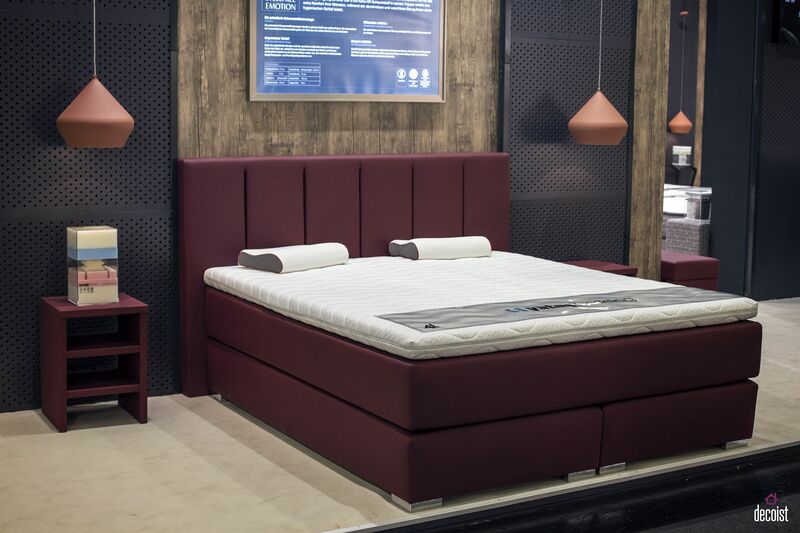 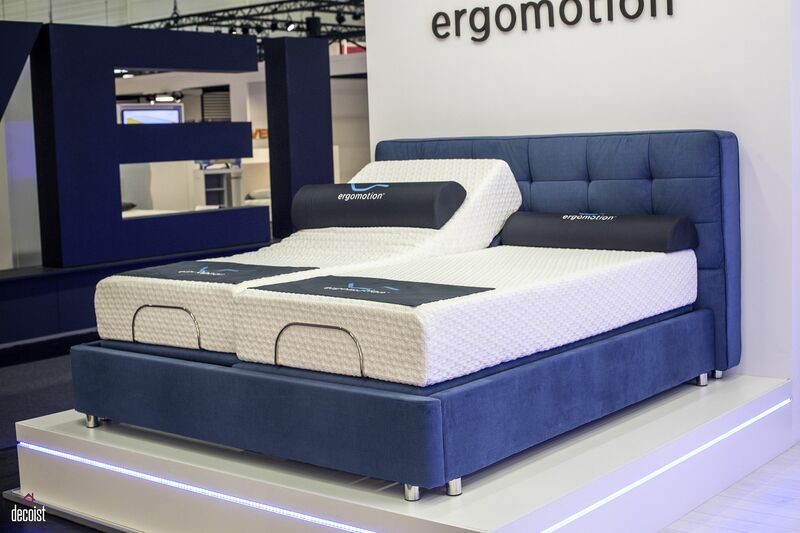 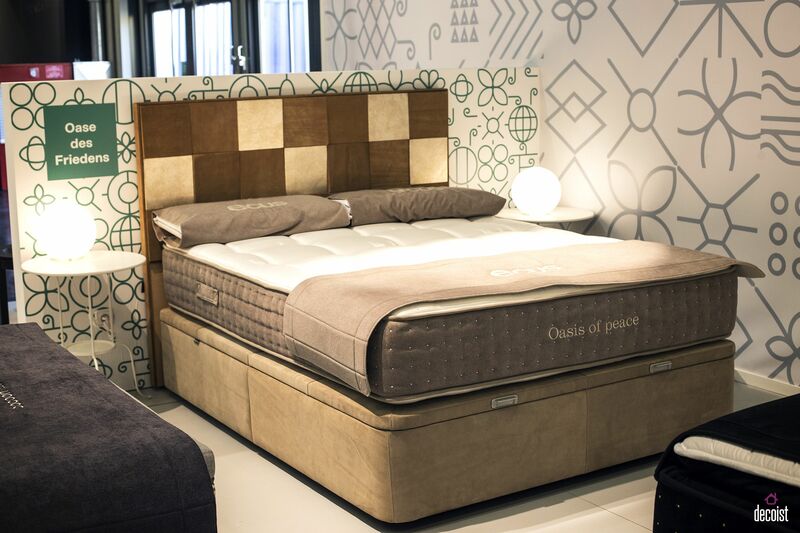 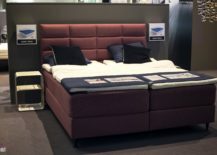 And the best part of it all is that each of these beds feels perfectly at home in modern bedrooms thanks to the use of simple, straight lines, uncomplicated form and minimal aesthetics. Add to it fabulous, tufted headboards in matching hue and you have a comfortable bed that is also a delightful visual treat. 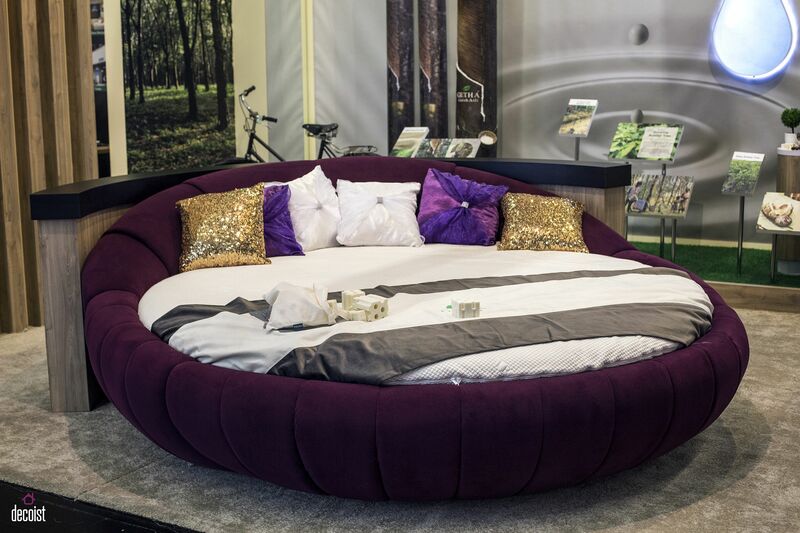 Round daybed in bright purple for those who want to move away from the mundane! 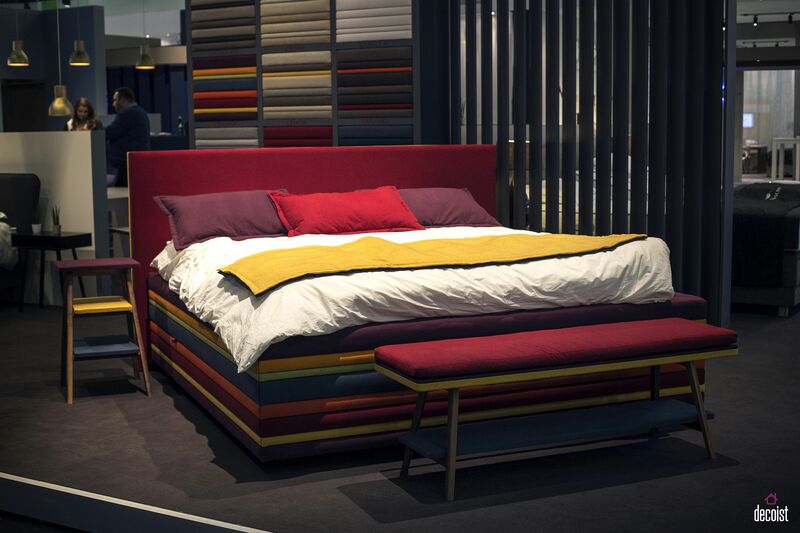 A lot of people misinterpret color for something definitely ‘bold’, but that is far from the truth. 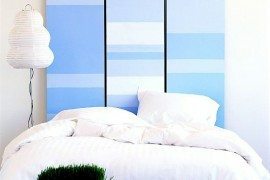 You can bring a colorful bed frame and headboard into your bedroom without actually splurging on a whole lot of vivaciousness! 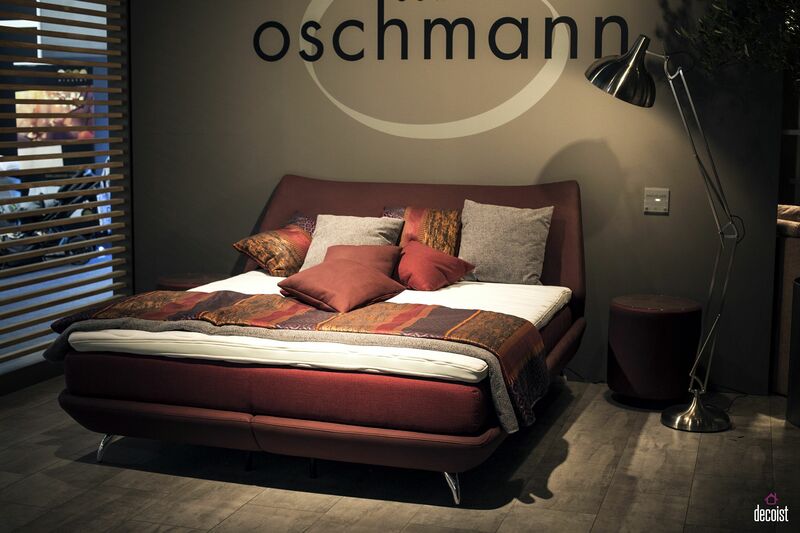 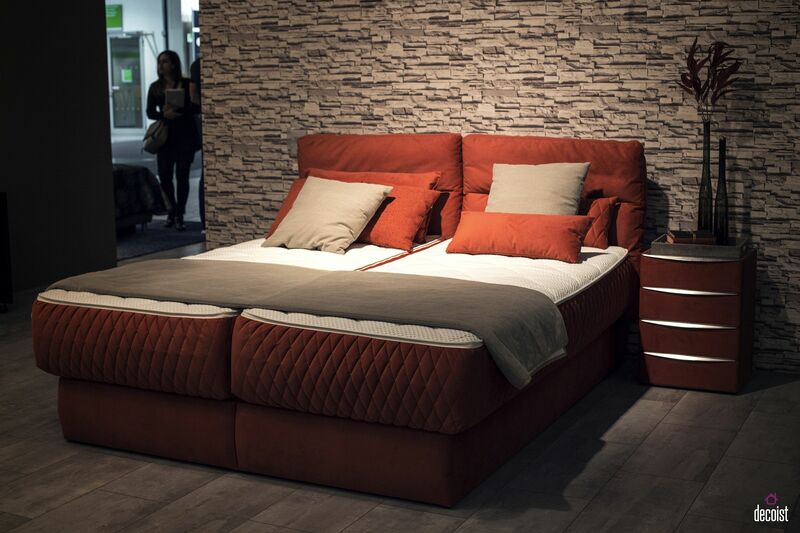 Pick out a bed frame in orange, red or even purple, but in a lighter tone and with a matte finish. 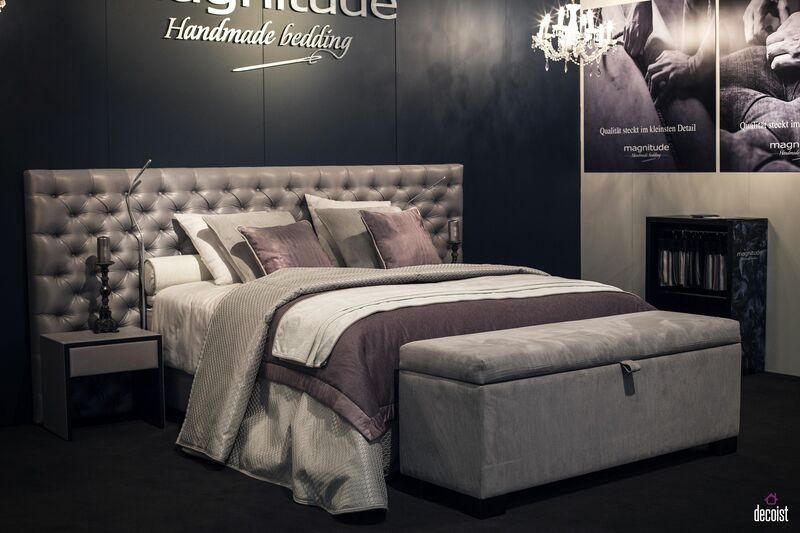 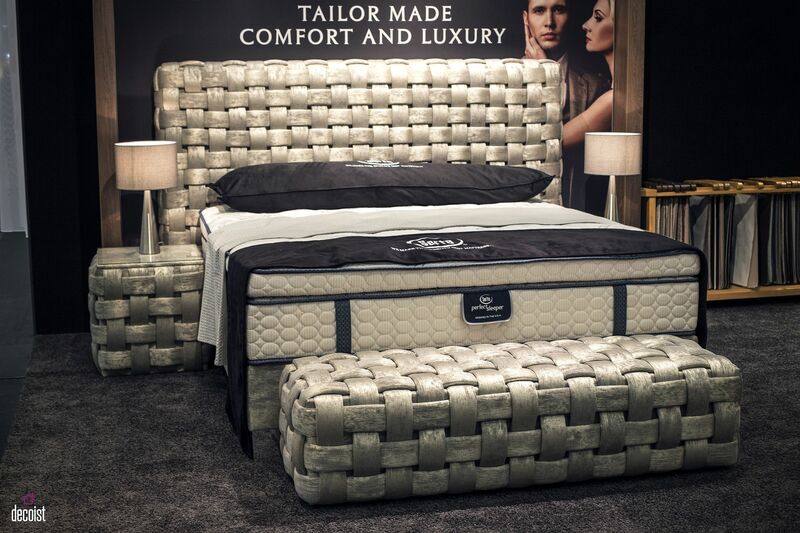 These chic and smart beds are ideal for bedrooms with styles varying from shabby chic, modern, minimal and contemporary to something as extravagant as Hollywood Regency and retro. 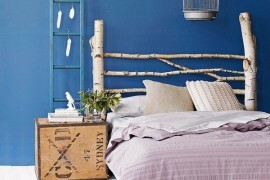 Once again, make sure you choose the right headboard as this makes or breaks the look of the room in an instant. 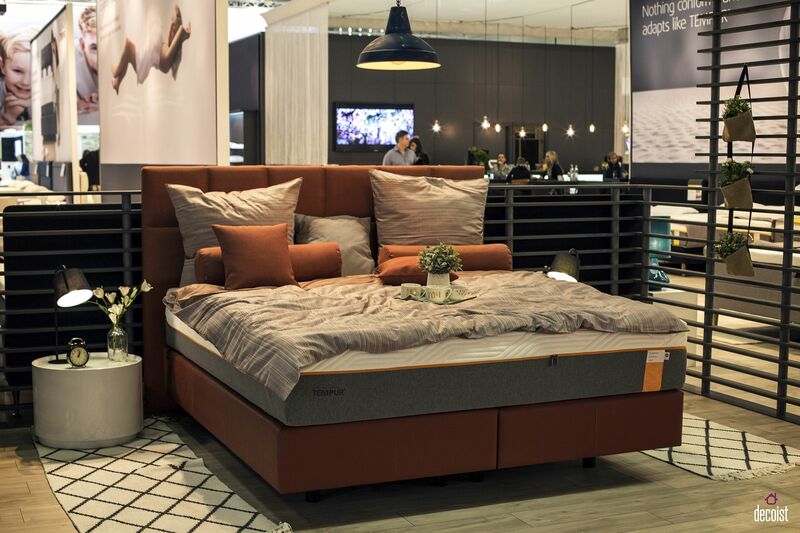 Orange with a matte finish is both spunky and understated! 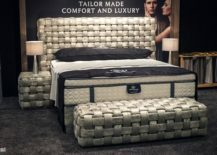 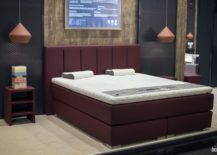 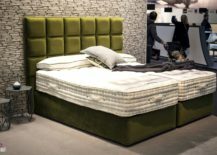 We finish off today’s journey into the world of brilliant beds and headboards with a collection that seems to fit in with almost any style you have going at your home. 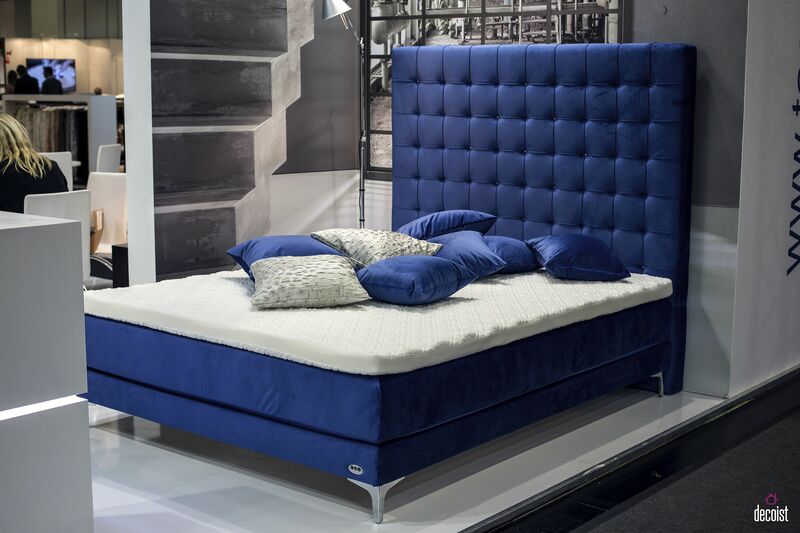 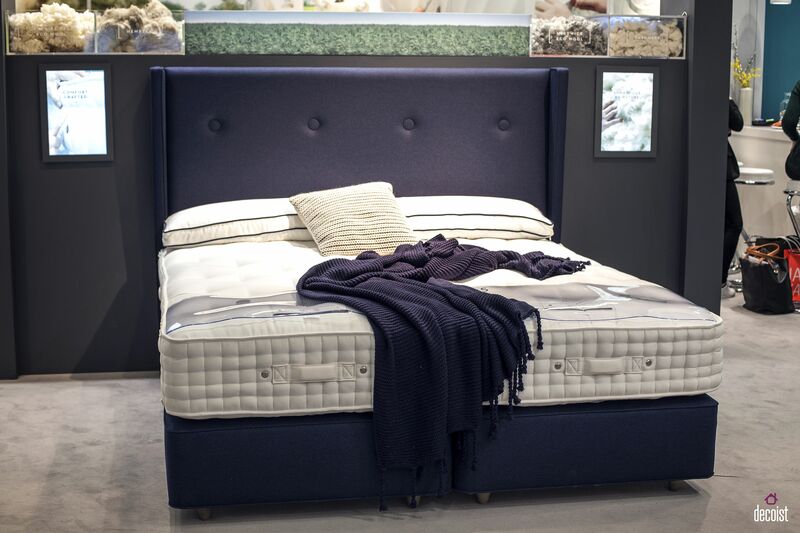 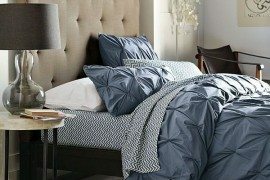 Beds and headboards in back, shades of gray and blue are both timeless and incredibly versatile. 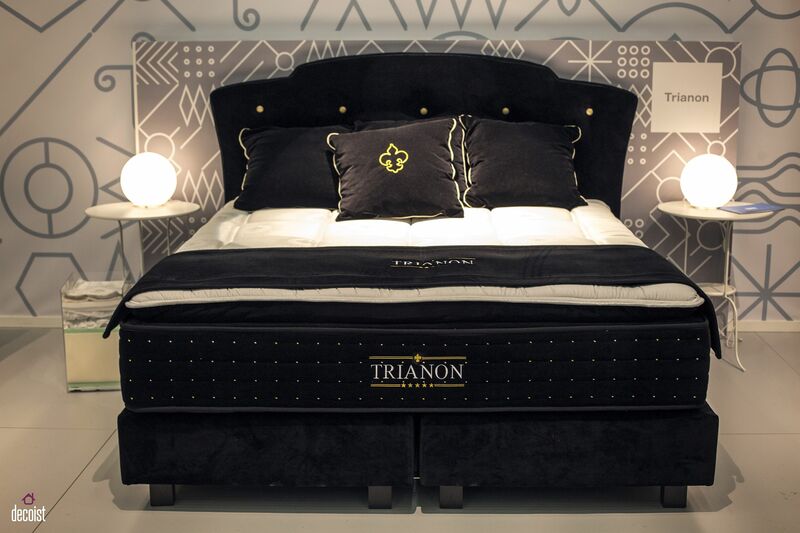 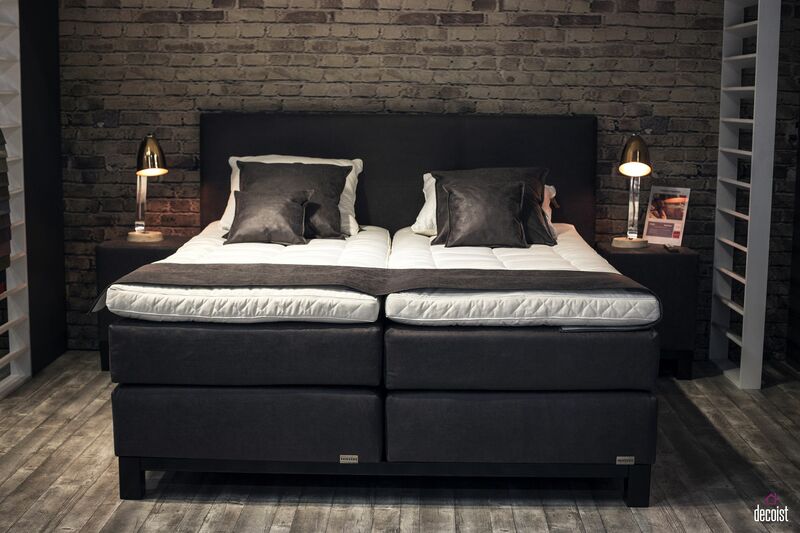 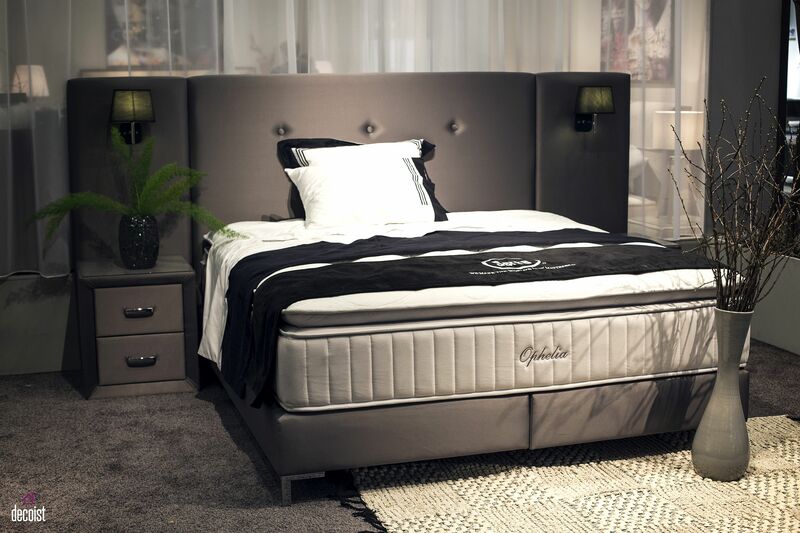 The black bed can anchor a breezy and airy modern bedroom and can define its style and theme in an instant. 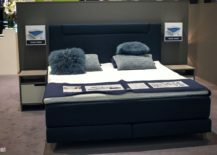 Bed frames in bluish-gray are a hot trend and they tend to deliver that elusive balance between colorful zest and refined panache. 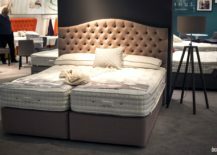 Even if they are not all that spunky, they make up for it with sheer longevity.